Lil Wayne and an entourage have just been pulled over while travelling through Texas on their way to a performance in Laredo. The rapper and members of YOung Money have been detained by authorities after U.S. Border Patrol agents found marijuana on the two tour buses. They have yet to be released, however it looks like some some members of Wayne’s crew will receive citations. But Wayne will not, according to an inside source. The stop was reportedly routine, but after a Border Patrol K-9 smelled the drug odor, authorities searched the rapper’s two buses. Both vehicles were found to be carrying marijuana onboard, according to a spokesman. 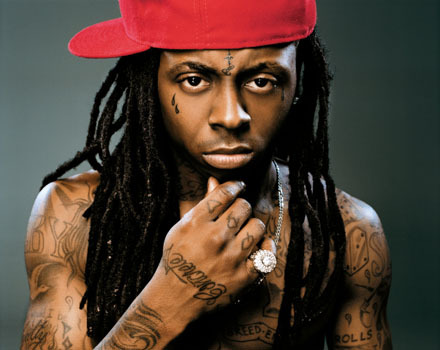 Lil Wayne and Young Money were scheduled to perform at 7:30 p.m. The concert has been postponed as a result of the no-show by the rapper, but may be rescheduled for Saturday (December 20), according to sources. Wayne is already in trouble with authorities. He’s due in a New York court on February 9, where he’s expected to be sentenced to a year in prison for attempted gun possession stemming from a 2007 arrest in Manhattan. The rapper also has charges in Arizona for possession of a controlled substance.